I cannot believe how dark and gray it is outside today. Really, all summer actually. It certainly feels as though we’ve relocated to south Florida. Nothing but high humidity and rain every day. The good news is that back in June we administered copper to the flock and as of this week they are still parasite free. It was a long road for Susan getting to copper trials and I am thrilled to have her knowledge and experience to apply now as my own small farm is starting out. Still, the wet and mud are not fun for anyone. I’ve been slowly reintroducing grain back to the sheep and goats to get some weight on them and going out in this nastiness has been a chore! It’s made most of us want to throw in the towel on summer and just let it be fall already. Indeed, last weekend the weather was gloriously fall-like. Susan has been staying with us (bravely, I might add, what with my feral children careening about) while we clean out her house and pack her up for her next adventure, wherever that may be. 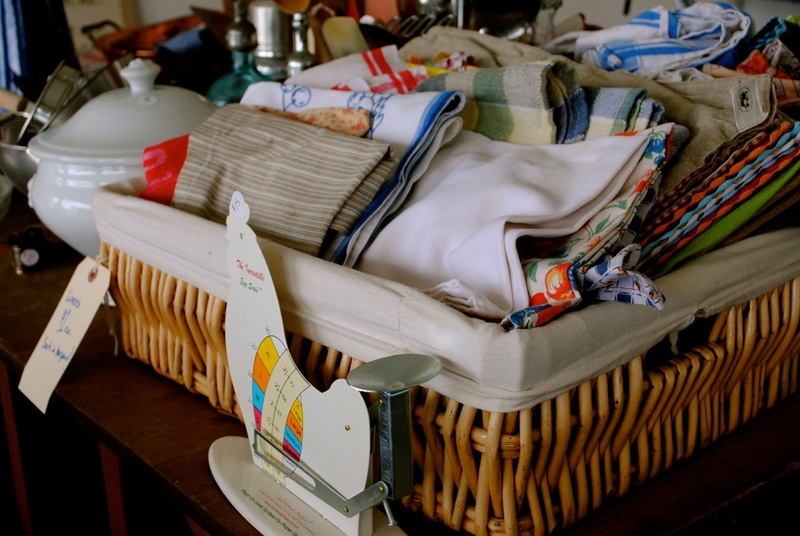 We hosted a two – day estate sale to clear out the clutter she’d been collecting the past few years that she will no longer need (seriously, who needs 9 beds???? She won’t anymore now that she’s no longer going to host farm stays!). 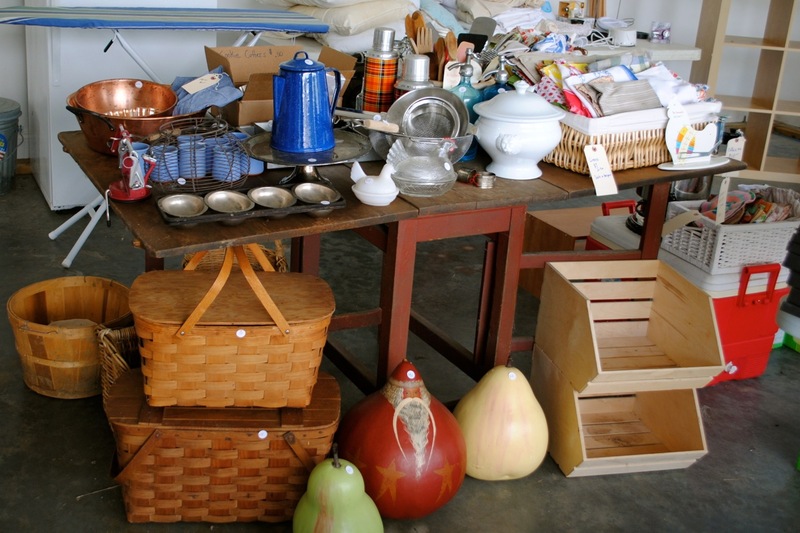 We had fun setting up the sale tables, creating Country Living-esque vignettes with the wares. How adorable are those baskets! And the Santa gourd with the Fu Manchu mustache? 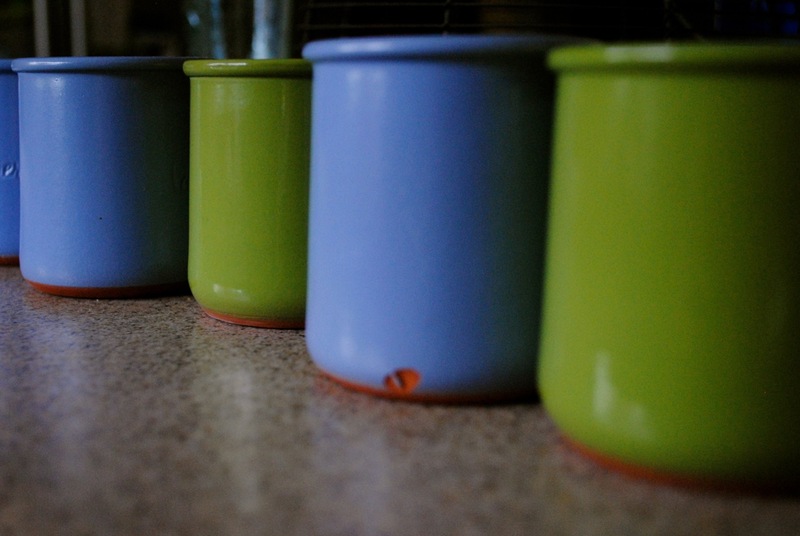 I scored these lovely french yogurt pots she brought back after a visit to her sister in Switzerland earlier this year. Moving her out was definitely a mixed bag of emotions. On the one hand, she hasn’t been living in that house for quite awhile now and the animals were moved ages ago, so it wasn’t a sad ending for the property itself. On the other hand, seeing her divest herself of so many of the things I had come to associate with her was hard for me at first. I have to say, though, after we cleaned it all out and sold it all off, it felt good. It felt like she is lighter and freer and her options are limitless. Obviously I hope she settles close by. I love having her around, and I love having her animals around. But it’s more important to me that she is happy and healthy. She could decide to set up in the Australian outback and we would still be best friends and we would still stay connected. That’s the beauty of friendships; they have nothing to do with possessions or location. Susan is moving forward, on to the next phase, and I couldn’t be happier for her. 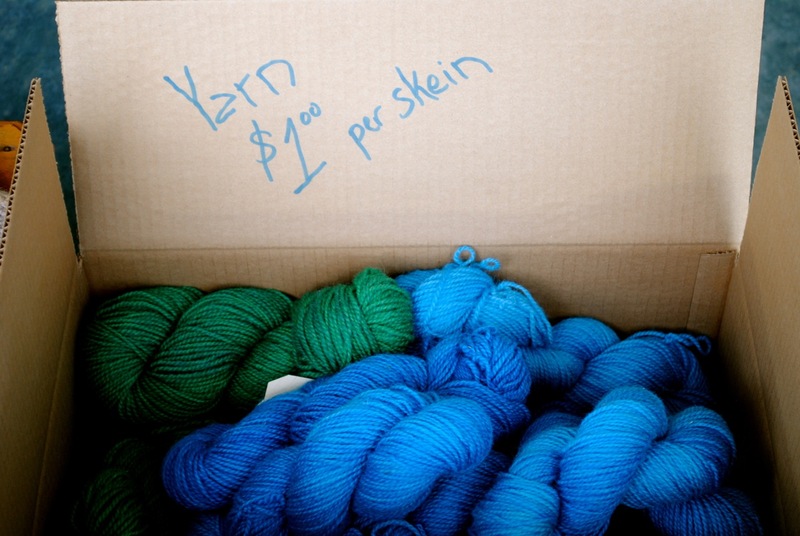 Yarn for a $1? I need more yarn like I need more children, which is to say NOT AT ALL. But still. A dollar! Also, I am glad that in this big wide world that you and Susie have found each other. You make a wonderful and supportive team.